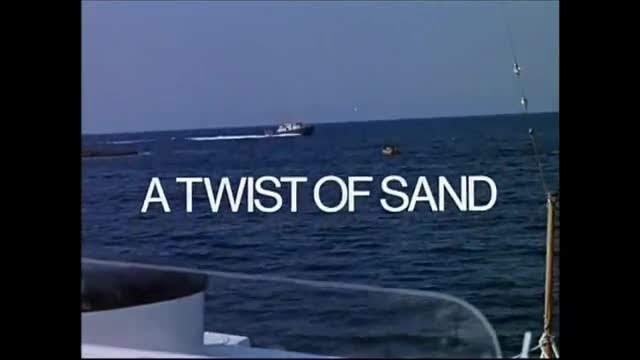 A recent discovery, this (now in the public domain) film is available for viewing on YouTube. 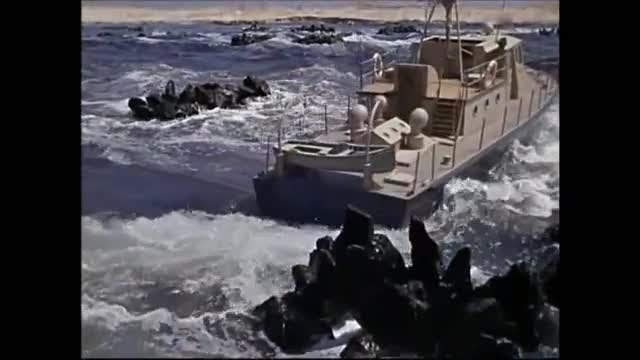 A twist of Sand has further examples of the uniformly excellent model ship work by Bill Warrington. 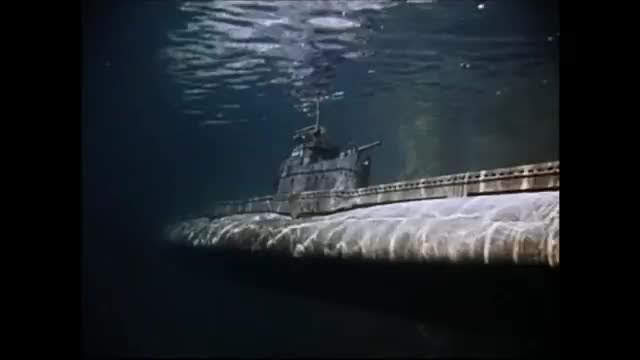 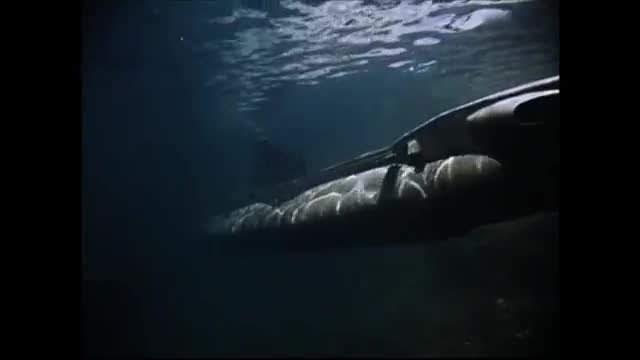 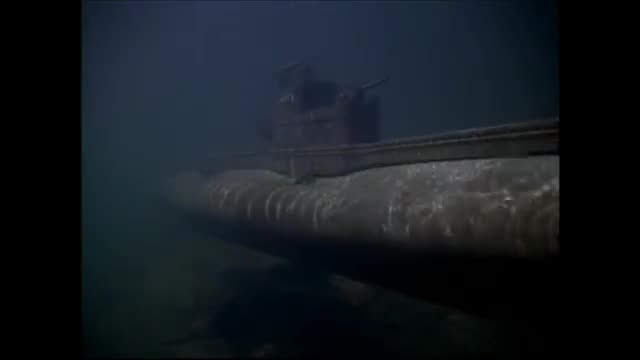 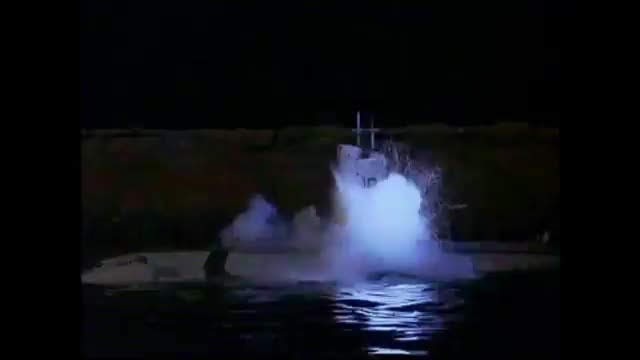 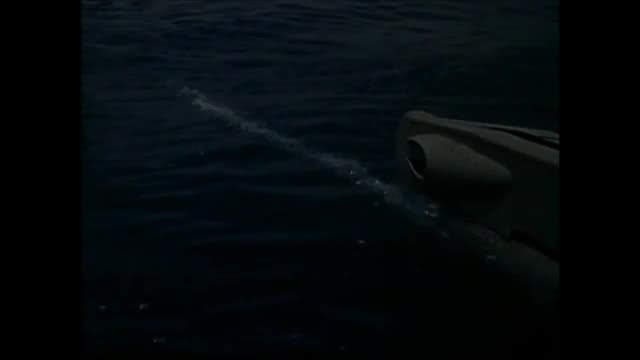 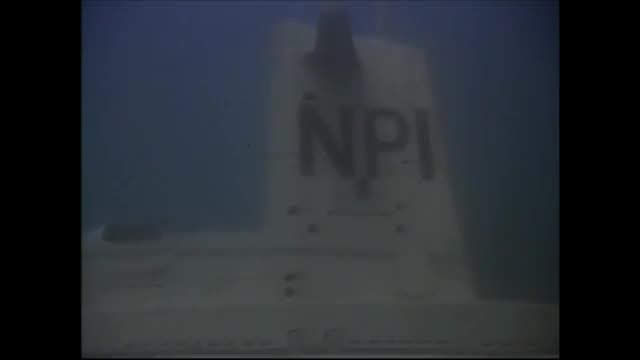 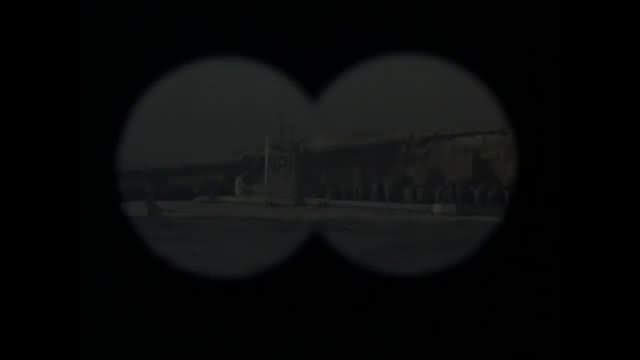 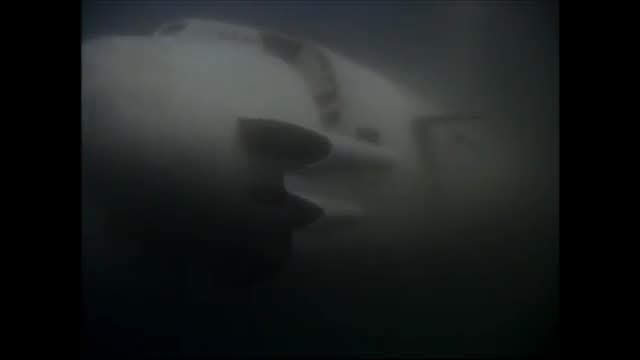 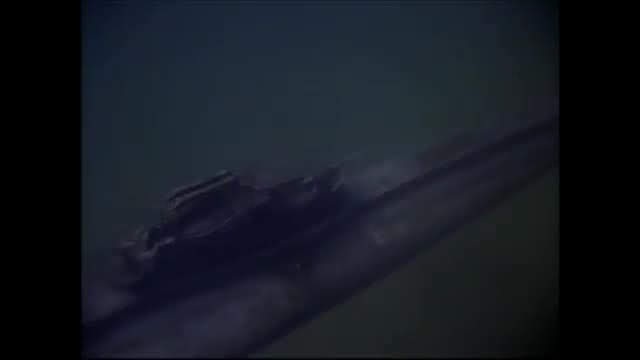 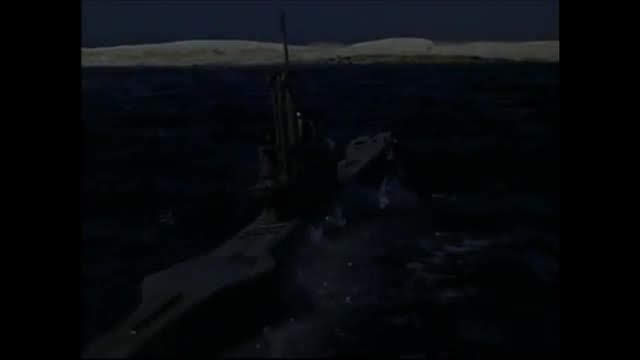 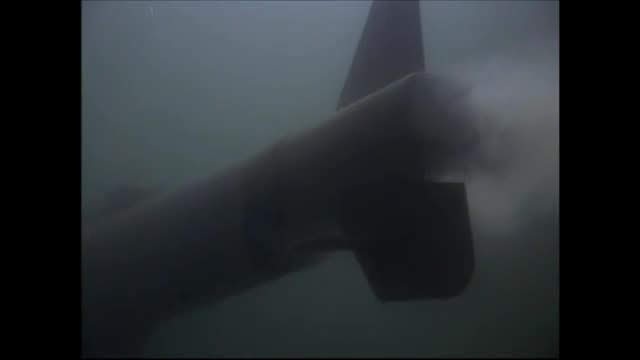 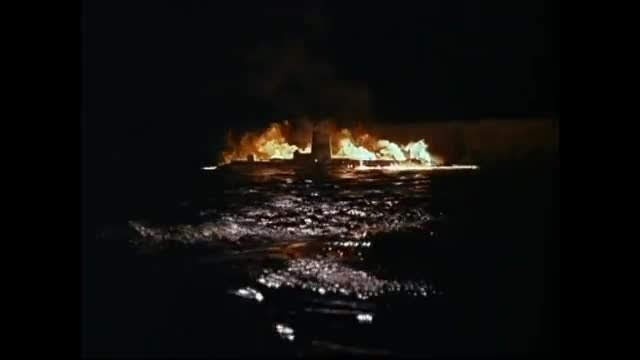 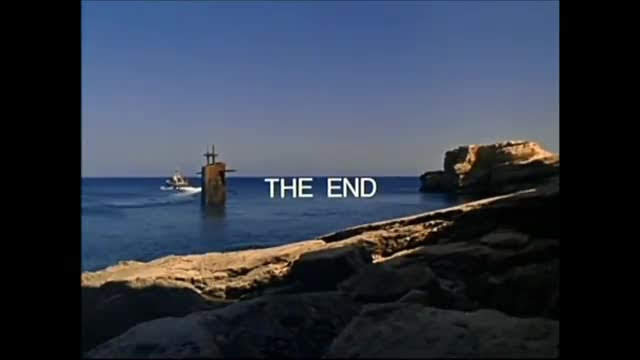 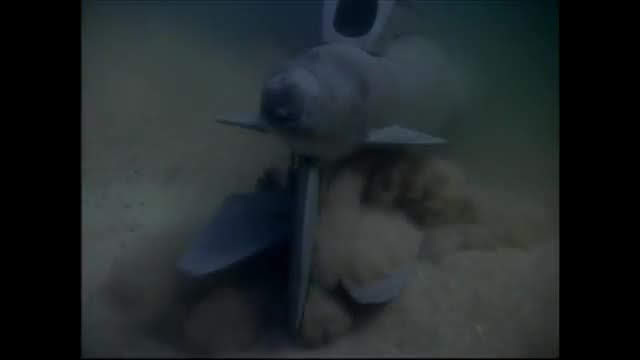 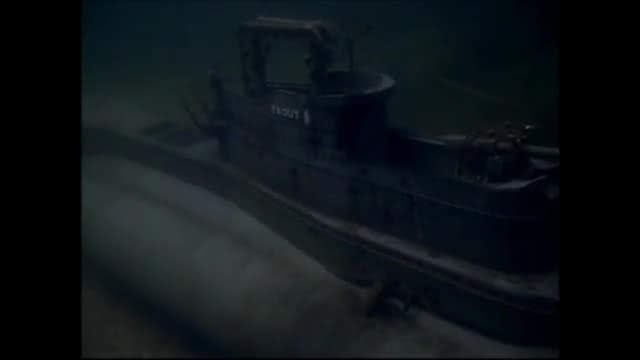 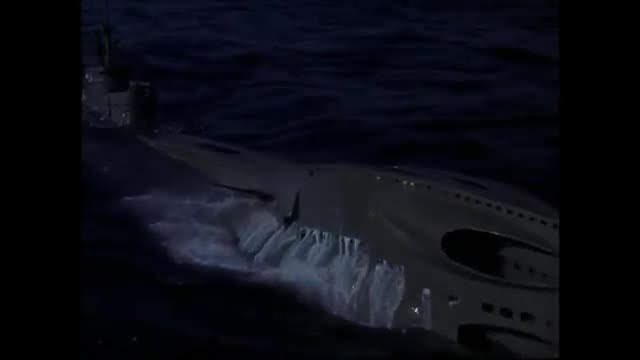 A secret advanced WW2 Nazi submarine is destroyed by a British submarine during a flashback sequence. 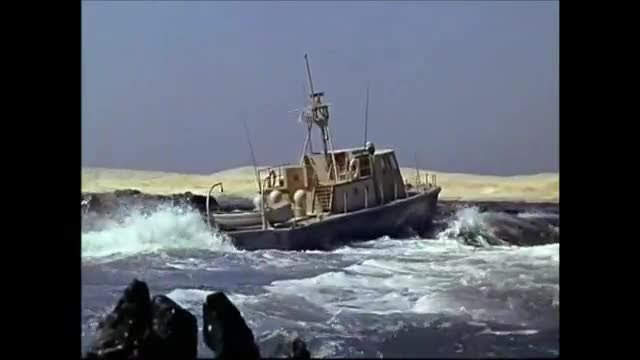 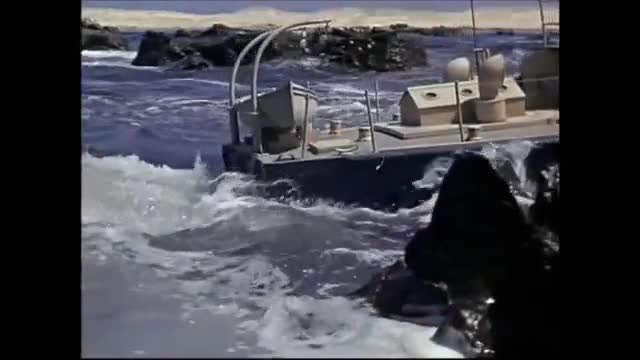 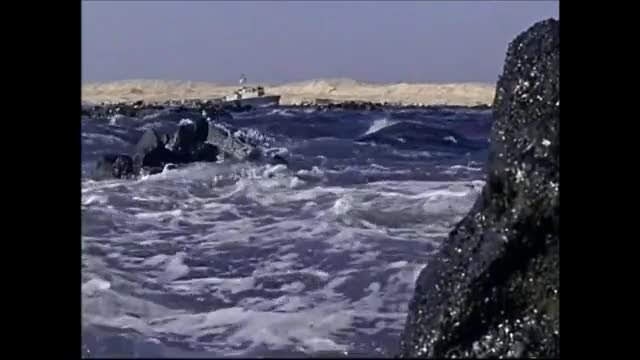 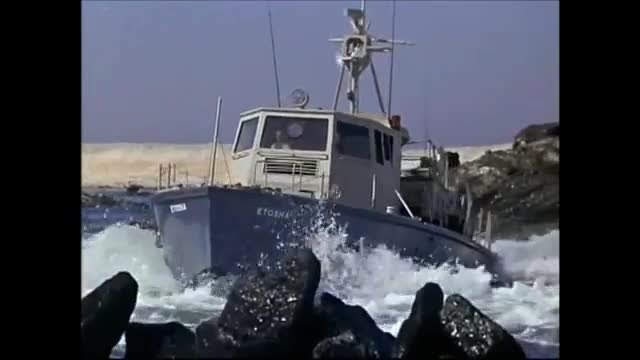 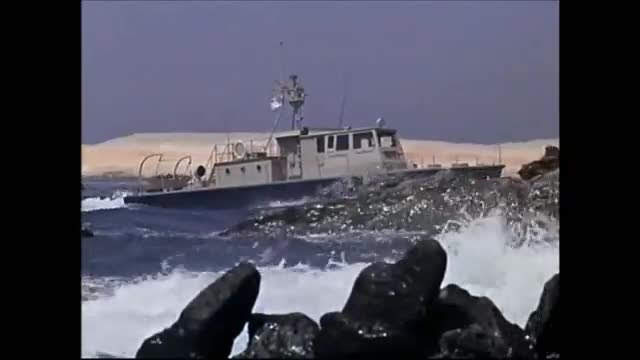 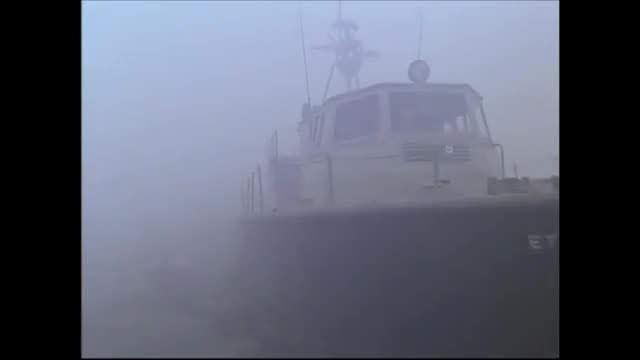 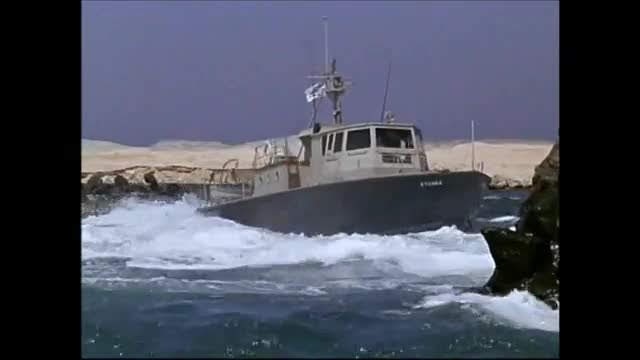 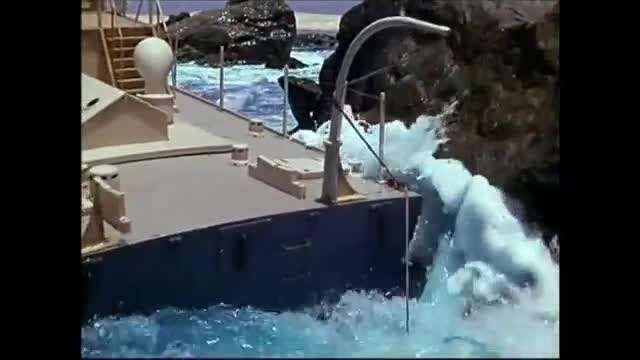 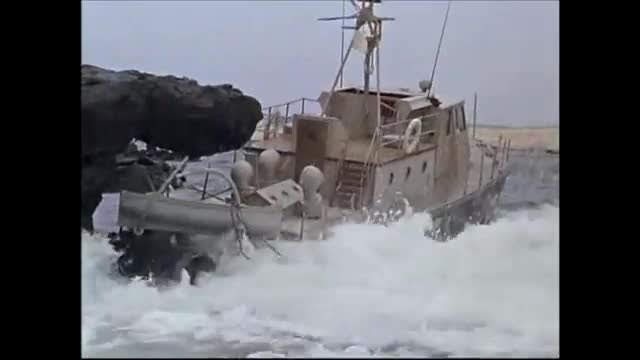 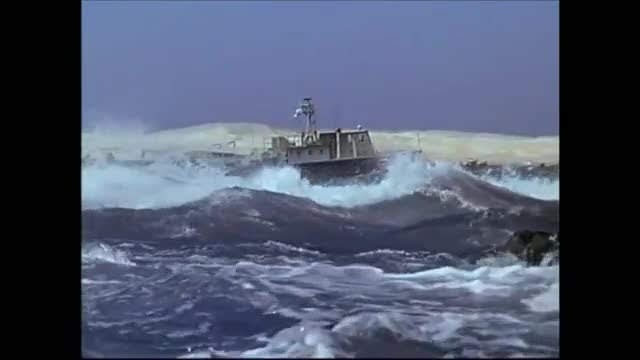 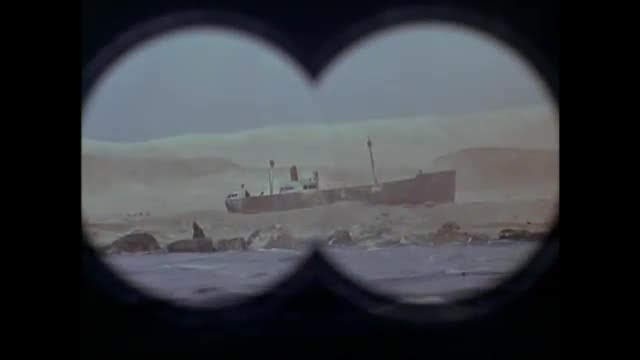 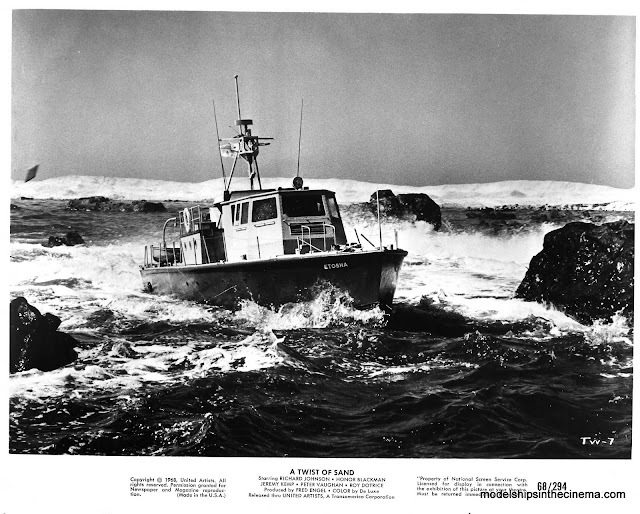 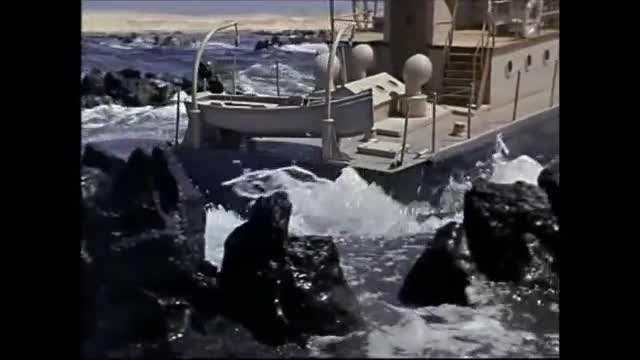 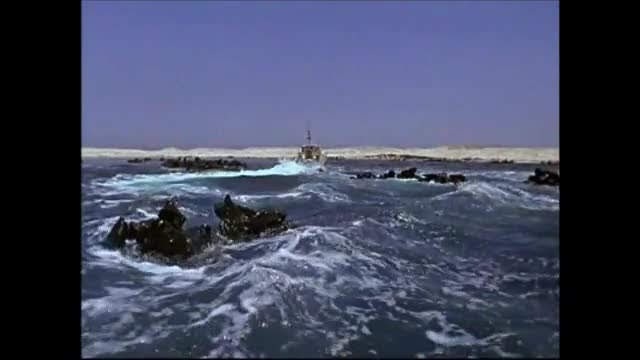 The bulk of the model action involves an ex WW2 fast patrol boat navigating the dangerous shoals off the skeleton coast of Africa to retrieve some stolen diamonds. 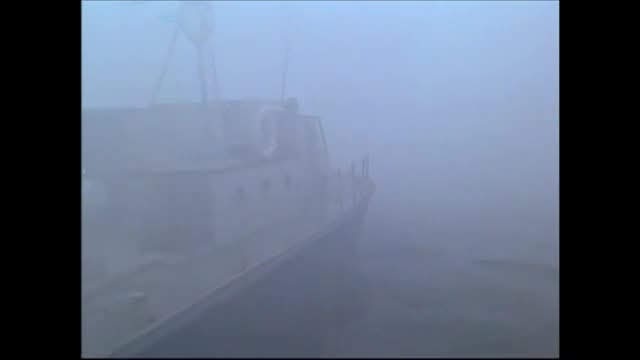 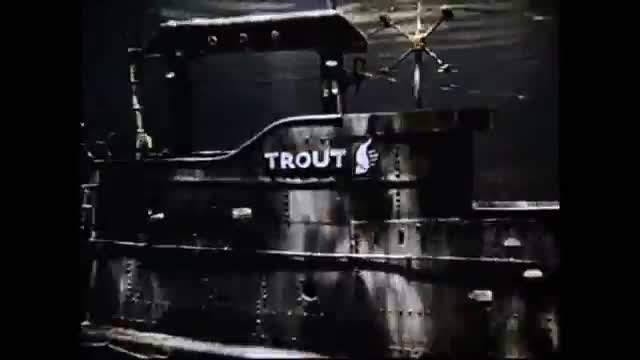 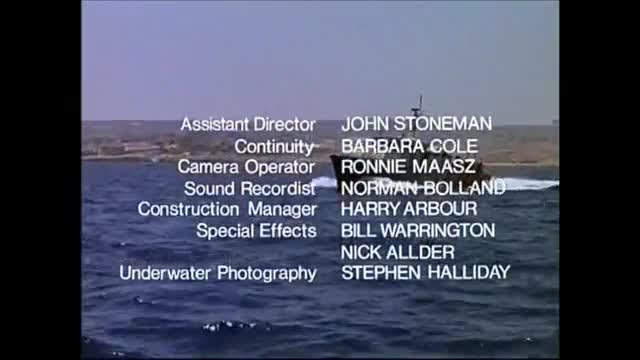 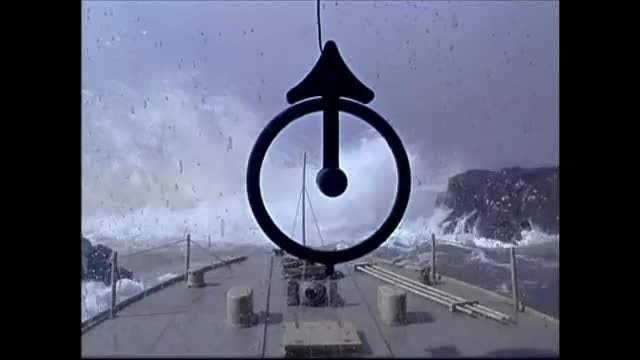 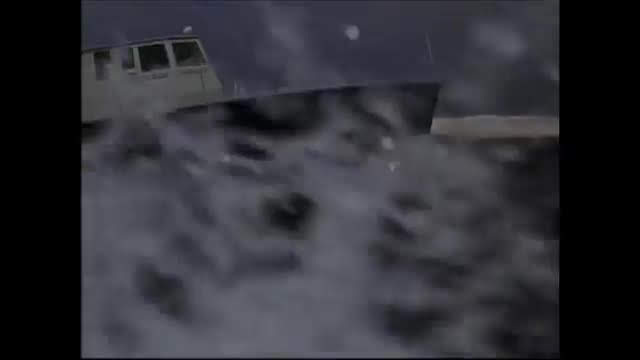 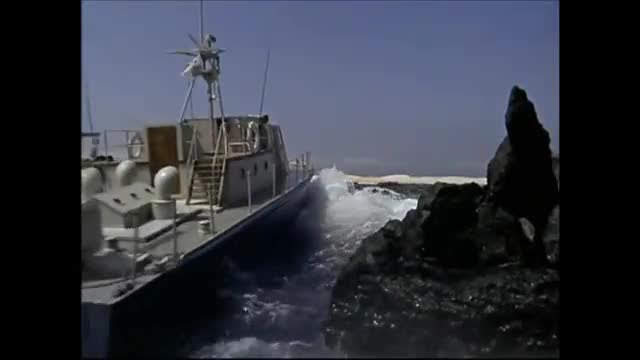 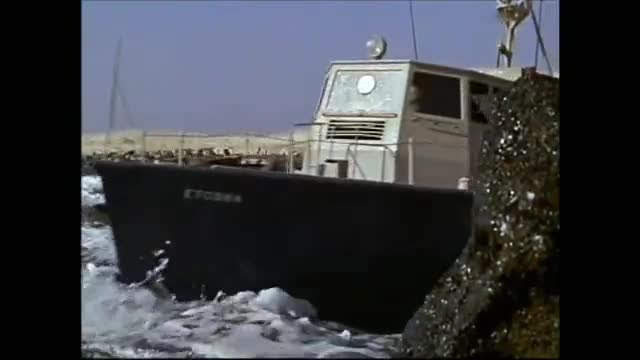 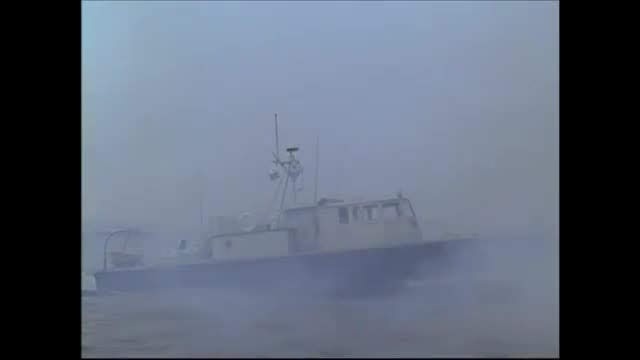 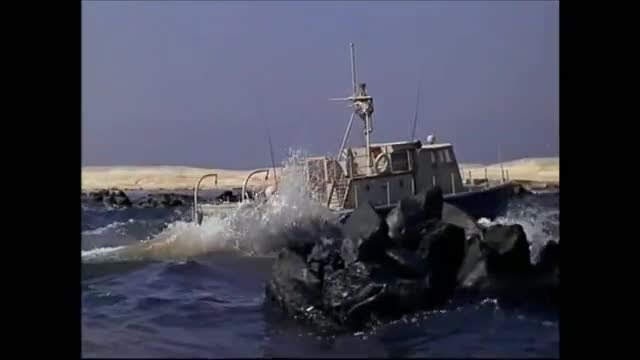 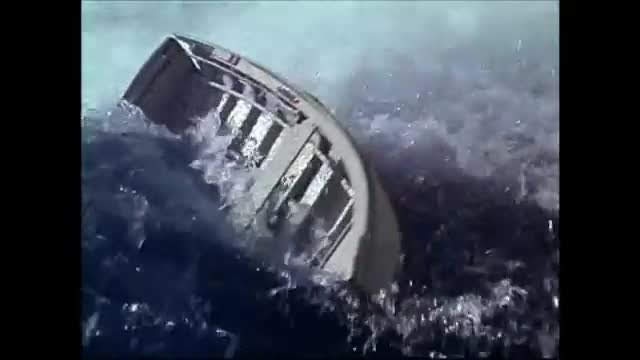 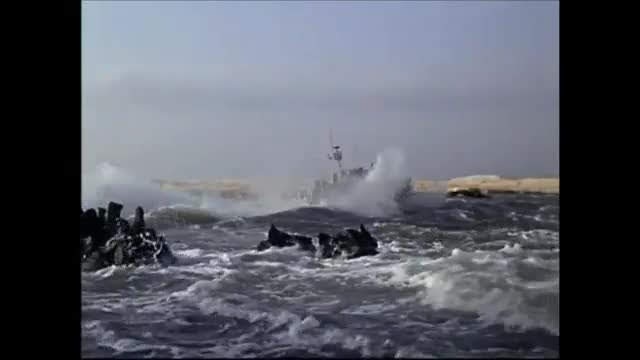 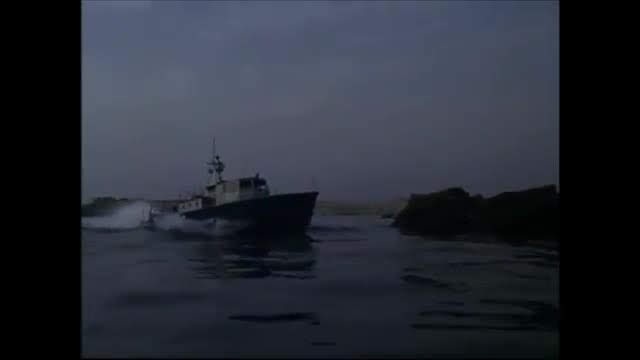 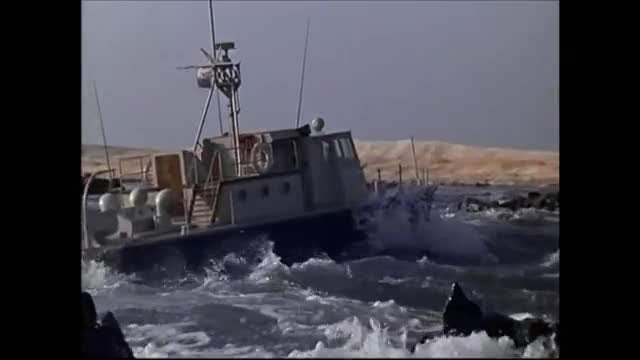 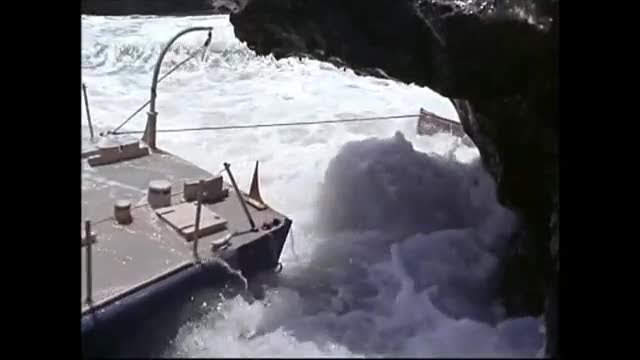 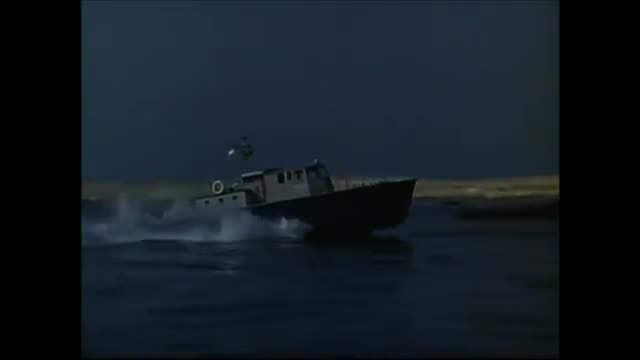 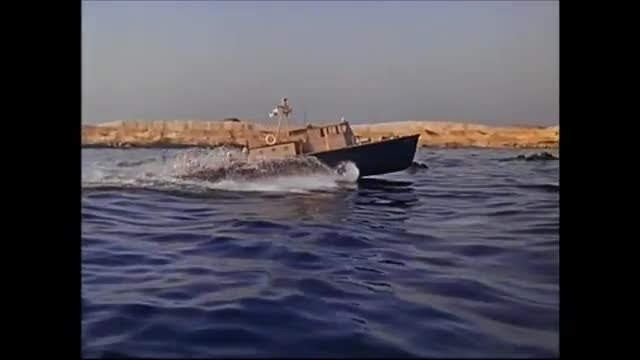 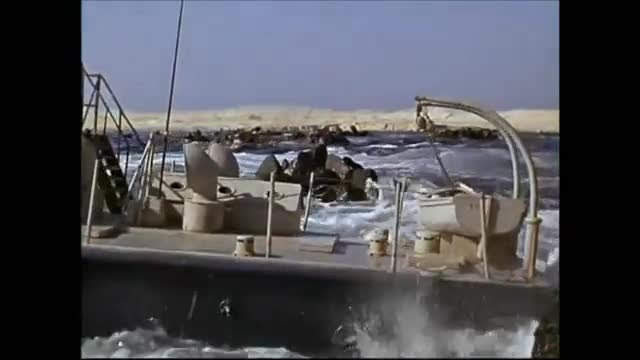 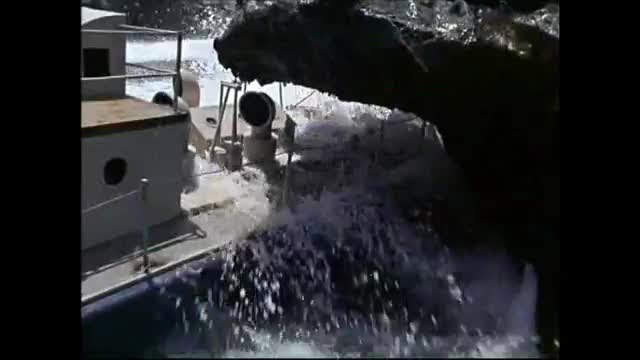 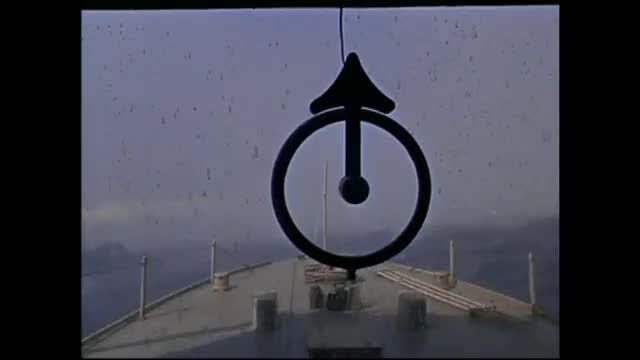 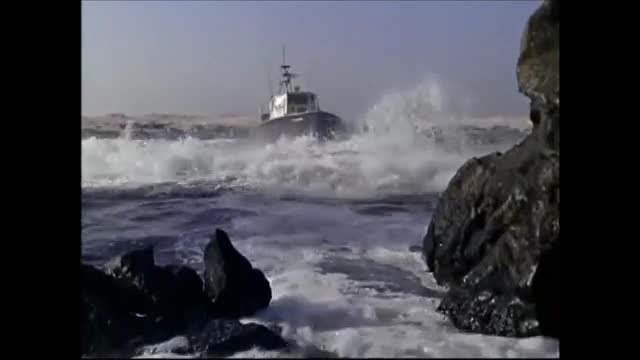 The sequence is very well shot and choreographed with very convincing boat motion, steering from the stern etc. 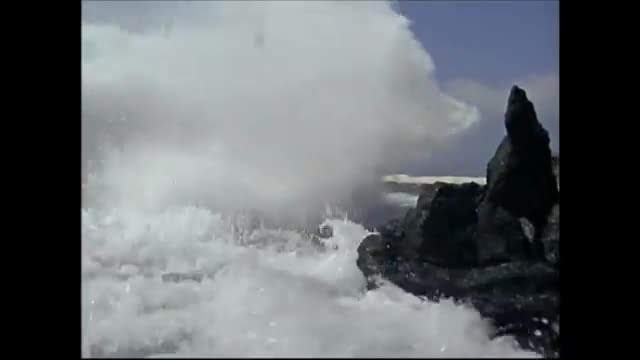 The water effects, waves and foam are very well handled, with the rocks looking convincingly dangerous.